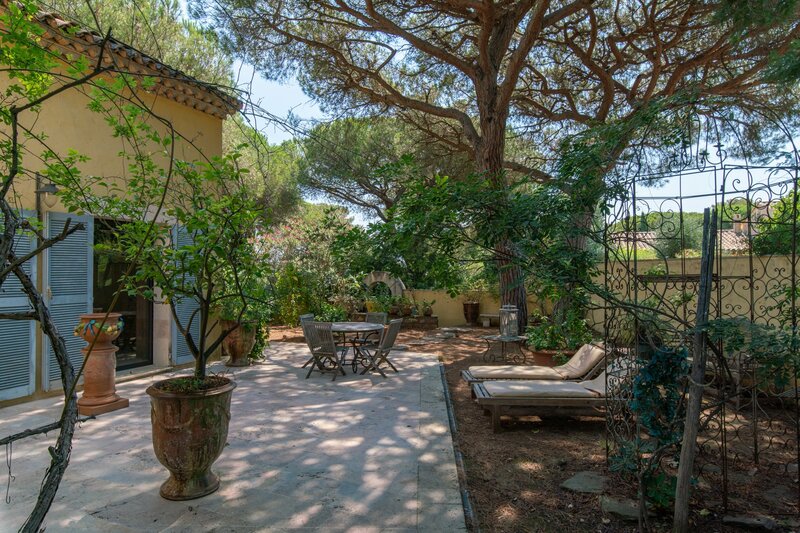 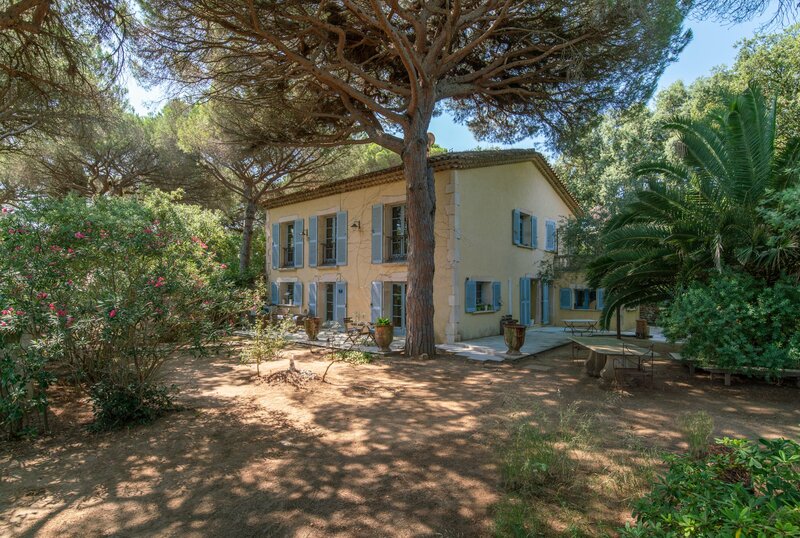 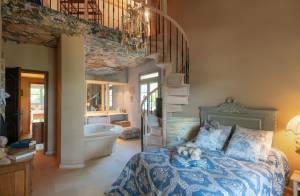 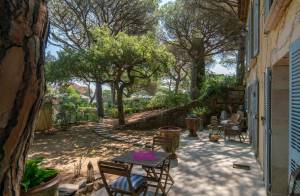 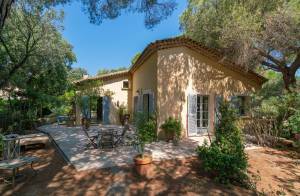 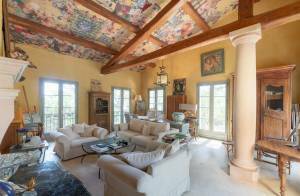 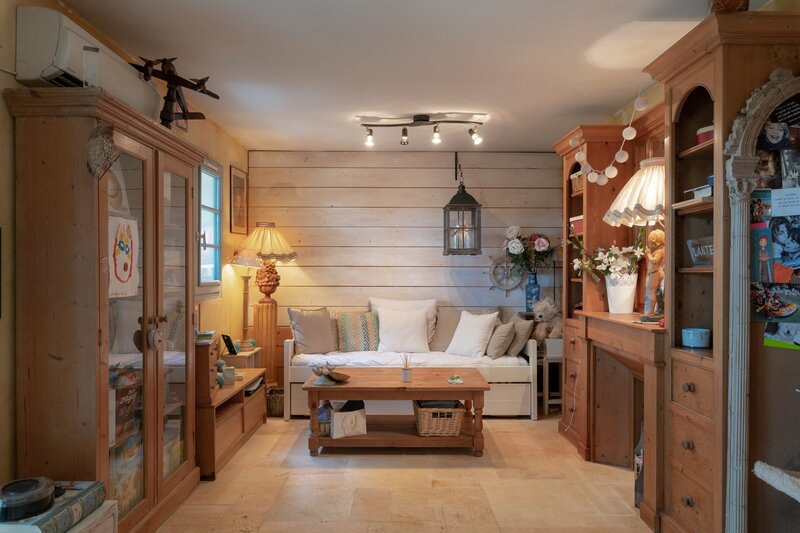 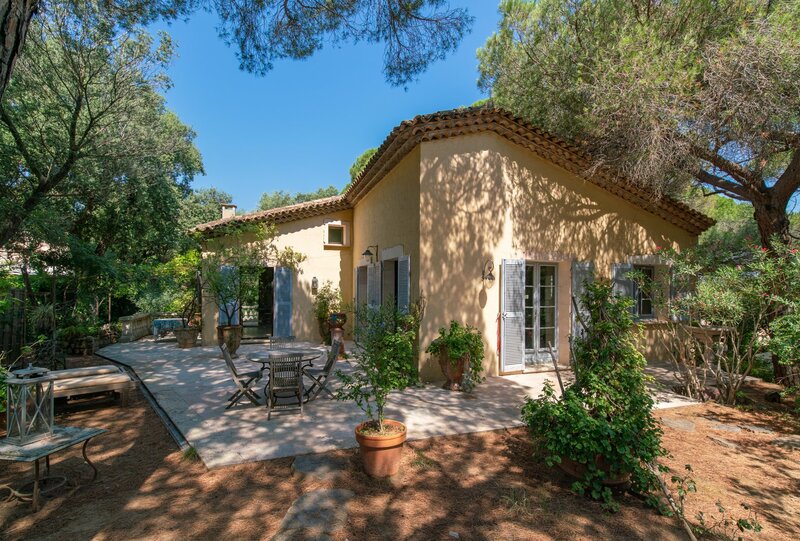 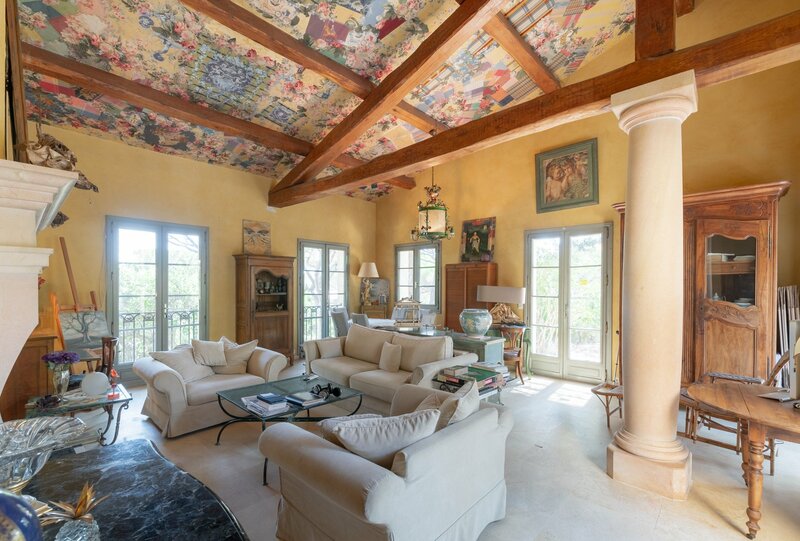 In the heart of a gated domain, within 400m from Salins beach, charming villa set on grounds of 1228m² planted with 100-year-old pine trees. 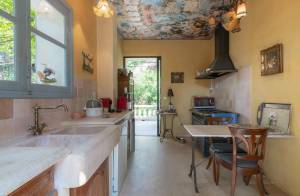 On garden level: kitchen opening onto the living room, 2 bedrooms, 1 bathroom. 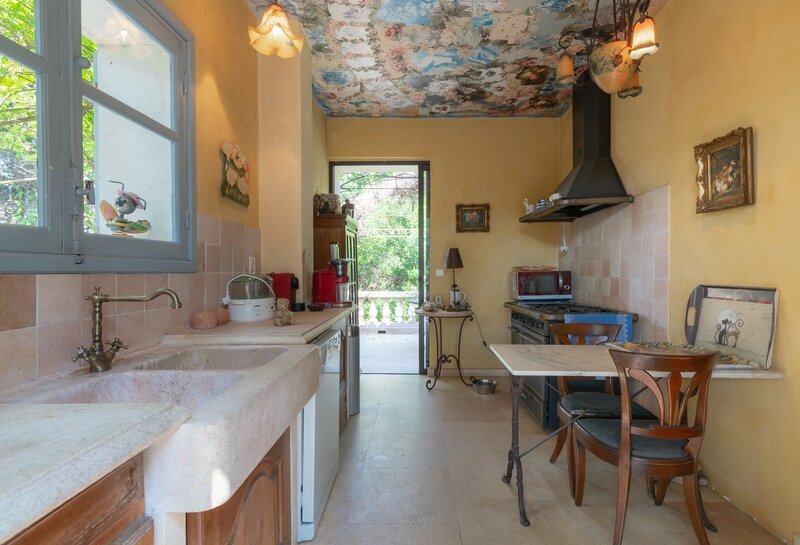 On ground floor: kitchen opening onto the terrace, liivng room with fire place and cathedral ceiling, 1 bedroom with mezzanine, one bathroom.